Bartering has made a comeback – and is serving a good purpose too. Fifteen community members from Walmer are now able to shop for their basic necessities without having to carry any cash. The Re-Trade project was started by Marie Grewar from Fountain Vineyard Church in Miramar. Since the project started in March 2014, 2500kg of waste has been redirected from landfills to be recycled. Fountain Vineyard now recycles as a policy and encourages the local community to make use of the publicly available recycling bins on the church property. They have also provided employment for one of the community members, who now assists with the sorting of recyclables twice weekly. Mr Bill Clark, a local community member had been recycling for years and was pleased to find out about a nearby recycling drop-off point, “I used to drop all my recyclables off at Priory, now I can easily bring them to Fountain Vineyard”. Mr Welcome Mkhontwana is delighted to have the opportunity to be able to shop for his basic needs, “I have come here three times now. The recycling that I bring in are all things that I pick up off the streets in Walmer Township and a bit of cardboard that I have fetched from the Spar across the road. 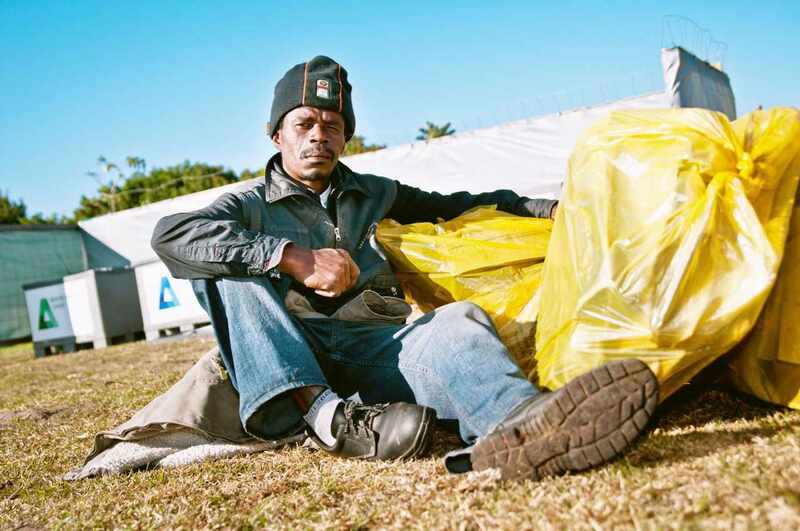 I am living on my own and have to support myself; the buyback centre has really helped me to do so.” Mr Mkhontwana brought in 8.5 bags of recycling and was able to purchase milk, sugar, coffee, tea, rice, soap and deodorant.